Seryia was my schoolmate during primary & secondary school. She is one of my buddies along with Pamela & Emmaly. We love to talk & laugh a lot during those days. 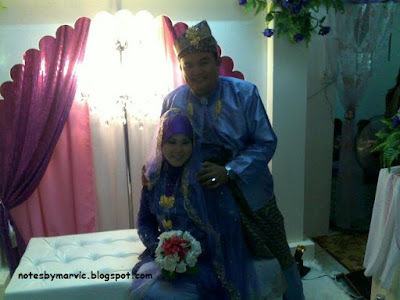 She finally find her soulmate, Wilfred & tied their knot on 29th Dec 2010. Soon Pamela will be marry as well in June 2011 to Soter.